Butcher block countertops have been used and praised for many years. In the past they were mainly used for butcher shops; hence the name. However, in recent years the butcher block countertop has become popular as a kitchen island or food preparation area near the oven. The surface is very solid and has been recognized for providing an above average cutting surface. Above all else, the butcher block countertop gives any kitchen a welcoming feel and continues to look great year after year! Rolling out pizza dough or gingerbread men are a great way to break in any new butcher block countertop. They are recommended for a busy kitchen that provides those warm home cooked meals that cannot be duplicated. It may just seem as though the food tastes better but atmosphere does play a huge role in perception. Chopping, slicing or dicing can be done without complications and sharp knives will not become dull. As with any countertop made of any type of material, there is always a downside. Butcher block countertops are not exempt from this general rule of thumb. The other hand, the enormous disadvantage of natural wood is that it is prone to wood rot. That means that the butcher block countertop should not be placed near the sink to avoid this negative aspect. Water is notorious for causing severe damage to wood and this is no exception. In order to preserve the countertop for as long as possible, remember to keep it away from any sources of water such as taps or drinking water sources. Wood is known to absorb moisture and this creates an environment for bacteria to grow. It is hard to keep wood completely sanitary although many manufacturers claim that it is one of the most sanitary countertops. In a world of technology and scientific advancements, most individuals are aware of the fact that wood is highly porous. That translates to encouraging a breeding ground for cross contamination. It must be cleaned thoroughly with soap and water and scrubbed prior to any food preparations. In a more positive light regarding butcher block countertops, although these negative aspects may lessen one’s interest, they are very easily remedied. The look and beauty of any countertop comes with a cost and a care list and this is no different. 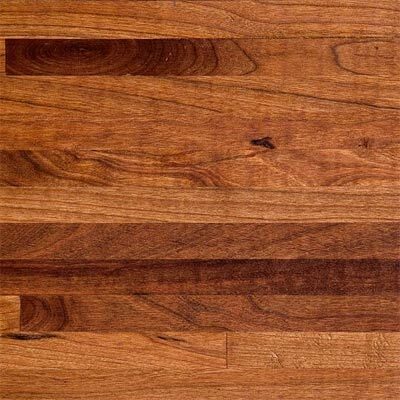 Butcher block countertops can be sanded down if they become stained or scratched. Reapplying a coating of mineral oil after sanding will restore the original look and feel of the countertop. There are not too many countertops that can rival that fact! It is highly necessary to perform routine maintenance on the butcher block countertops with mineral oil at least once every six weeks. Some care instructions are dependant upon the type of wood used in manufacturing the kitchen countertop. Most homes that have butcher block countertops use the aid of a cutting board to prevent excessive damage to the countertop. Although it is made of material that is typically used in cutting boards, it should be treated as would any countertop. Fixing the countertop is not a pastime that most people care to partake in except when needed. Less direct scratching or cut marks within the countertop means less time spent on repairing and maintaining the new countertop. There is yet one last attractive feature of butcher block countertops and that is the price. Manufactured from Hard Rock Maple or Appalachian Red Oak, butcher block countertops achieve a homey feel without compromising the look or feel of adjoining rooms. The look and feel can be purchased starting at $30 per square foot and higher. As with any material, the fancier you want it you should expect to pay more accordingly. Give your kitchen a face-lift with a beautiful natural butcher block countertop! Check at your local hardware or home improvement store for DIY kits and begin the much needed make over starting at the countertops. Be wise, be frugal, and save a few dollars by learning how easy it is to install this countertop!